Atlas of Material Damage, Second Edition provides a systematic analysis of the modes of damage and morphology of damaged material, and compares the experiences of different industries to provide insight into the most frequently encountered failures, reasons for these failures, and potential improvements to prevent future materials failure. Product reliability is a critical aim of materials scientists and engineers. Uninterrupted performance of manufactured products at typical and extreme conditions of use is the major goal of product development and the most important indicator of material quality. This atlas has microscopic pictures, schematic diagrams, and graphs which show how materials fail, how they are produced to not fail, and how they are designed to perform particular functions to make outstanding products. Findings presented by each illustration are fully explained in the text and labeled. Materials increasingly must have optimal structure and specially designed morphology. The book offers numerous examples of how this special morphology can be achieved in electronics, the plastics industry, the pharmaceutical industry, aerospace, automotive applications, medicine, dentistry, and many other fields. 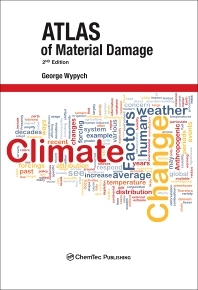 This book provides information on defect formation and materials damage; discusses effect of composition, morphological features and structure of different materials on material performance, durability, and resilience; and analyses the cause of material damage and degradation, and the effect of processing conditions on material damage.